The Pub Boys… a party waiting to happen. The Pub Boys’ music, on the cd and live on stage, is retro even for traditional music. It recalls the glory days of Tommy Makem and The Clancy Brothers: sincere, robust playing and tight, manly harmonies (and Earhart’s supple and assured fiddle playing is an asset). For anyone used to the punk snarl of the Pogues or the mystic overdubs of Enya, this is an adjustment but one with lasting pleasures. – Ken Chisholm. 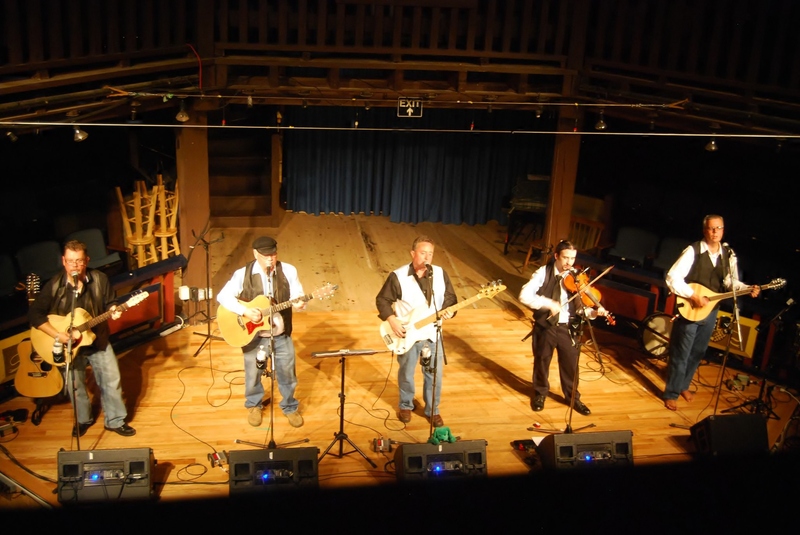 With a blend of traditional, east coast and original tunes, The Pub Boys have, as individuals and as a group been entertaining audiences across Cape Breton and beyond, for many years. Each brings their unique instrumental and vocal abilities to the stage and collectively they produce a collaborative sound that guarantees to have the crowd demanding more at the end of the night! When you combine music, with large doses of laughter, both on and off the stage, you have a recipe for a great evening out! The Pub Boys have proven their ability to entertain no matter the event. The Pub Boys have gained a loyal following of people who return again and again as they are guaranteed to hear the songs to sing along to, and music to chase their cares away. Gordie is from Coxheath and started playing guitar at the ripe old age of 13. He loves all things musical and in his younger days was involved and starred in Rotary Shows as both a singer and dancer. Gordie developed a love of Celtic music after playing in a church choir directed by renowned Cape Breton Celtic performer Donnie Campbell. Gordie partnered with Robert Libbis for about a dozen years. Gordie was also a member of Our Lady of Fatima choir. While on a Cursillo weekend he met Tom and together they formed The Pub Boys. Tom grew up in Reserve Mines and like many Cape Breton families, live music was always present in the home throughout his youth. He spent twenty two years with the Canadian Armed Forces eventually returning to Cape Breton and his musical roots in 1998. Tom started playing guitar at 10 years of age and has played in many church choirs & local bands over the years. Together with Gordie he is a co-founder of The Pub Boys.